 Macomb County Dog Licenses are required for dogs ages 4 months and older. All dogs are required by Michigan State Law to be licensed and vaccinated for rabies. Failure to maintain proper licensing may result in additional fines and fees. In order to obtain a dog license you MUST have proof of your dog's current rabies vaccination in the owner's name in the form of a veterinary SIGNED rabies certificate, as well as proof of your dog being spayed or neutered (if applicable). To obtain a dog license in person you must bring the vaccination certificate as well as proof of spay or neuter, and owner identification to the Macomb County Animal Control during our regular business hours. Macomb County Animal Control provides licenses for all of the Macomb County residents except for those residing in Eastpointe, Mount Clemens, Sterling Heights and Warren. Residents in these areas will need to contact their local city offices to verify licensing instruction. You may renew your dog license by mail or in person. New residents or new pet licenses must be done in person at Macomb County Animal Control. Why is there a difference in fee for dogs not spayed/neutered? Unaltered dogs present a more significant strain on animal control and shelter resources than spayed and neutered pets. Spaying and neutering help prevent unwanted/unplanned pets, and ease the burden on government and nonprofit resources and taxpayers. The staggered fees were established to encourage responsible pet ownership, including spaying and neutering. Do I need to bring my dog with me in order to get a license? No. The dog does not need to be present for you to purchase a license. In fact, we recommend not bringing owned dogs into animal control unless requesting a microchip. Is a Titer Test accepted for Rabies? Is there a license fee for service dogs? In order to qualify for a fee-free service dog license, your dog must perform specific work or tasks for you according to the Americans with Disabilities Act, 42, USC 12101 et seq. Therapy dogs or emotional support dogs do not qualify as a service dog. Service dogs can only be licensed for 1 year at a time without a fee. If you are denied your request, you will be required to pay the regular license fees. My veterinarian advised my dog not be vaccinated. If your veterinarian determines that your dog should not be vaccinated for rabies because of a medical issue, please have your veterinarian provide a letter stating the reason your dog is exempt from the rabies vaccination. The letter must be on the veterinary office letterhead and signed and dated by the vet. You will need to resubmit the letter each year to renew your dog license and will only be able to purchase a 1 year license each time. The Macomb County Animal Control has advanced into the digital age by partnering with PetHub and now offers pet owners the next generation of license tags. Designed and "Powered by PetHub," the new digital license tags have undergone a complete makeover with the addition of high-quality printing, color, and a white coating to improve legibility and durability. Both sides are fully utilized by displaying the shelter’s identity, logo, and phone number on one side AND a unique license number, QR code, and PetHub’s toll-free number and website on the other side. This new license tag provides an extra layer of protection for your pet. 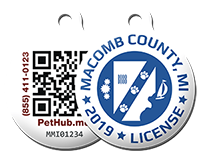 Not only is your license registered with the Macomb County Animal Control but you can also register your "digital" tag with PetHub. You have the ability to create a free online account at PetHub.com and link your tag to your pet's profile through the QR code. If your pet goes missing and someone finds your pet wearing this tag, the finder can use a smartphone's camera to scan the QR code, view the contact info on your pet's profile, and immediately contact you or someone on your trusted list in order to reunite your pet with you without the pet entering paw into the shelter. Your account is safe and secure because you control what information in your pet's profile is visible and what is not. If the finder does not have a smartphone or does not know how to scan a QR code, there are two other ways. 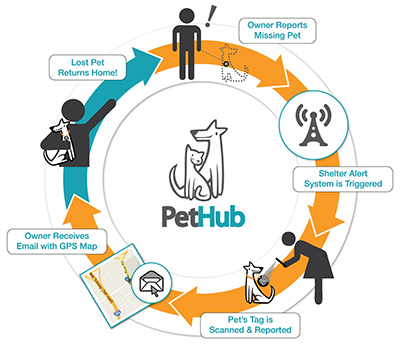 First, the finder can call the phone numbers printed on the tag, one of which connects to PetHub’s call center (available 24/7) and the other to the Macomb County Animal Control. After the finder provides the license number, we'll connect you to the finder. Second, the finder can go to PetHub’s website (also printed on the tag), enter the license number, and view your contact info. Best of all, your pet is protected around the clock. STEP 1: Create your free online profile at PetHub.com. Add your name, email, and phone number(s). You also have the option to add your address and additional contacts as well as your pet’s information (including your vet, vaccination history, allergies, medications, behavioral conditions, and much more).